In this study the capabilities of a state-of-the-art Atmospheric General Circulation Model (AGCM) for the estimation of the atmospheric conditions on seasonal scale are examined. Seasonal simulations were carried out using the NCAR Community Atmosphere Model (CAM 3). The unusual weather patterns prevailed over Europe and Asia during July and August of 2010, which led in the development of the Russian heat wave and provoked severe rainfall in Pakistan, were simulated by using an ensemble based methodology. The ensemble was consisting of 61 independent members and it has been produced by consecutive simulations performed for each day of January and April 2010. Each hindcast has been integrated for 8 and 5 months ahead. The model outputs have been statistically processed in order to estimate the monthly average temperature anomalies and the monthly accumulated precipitation probability of exceedance. 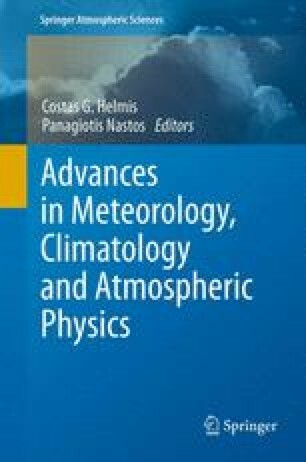 Preliminary results suggest that the system is able to reproduce the large scales of the atmospheric circulation indicating that it can be a useful tool for better understanding the mechanisms of atmospheric variations on seasonal scale.